Book review / interview with Cirilia Rose! I’m so excited to share Cirilia’s new book with you! 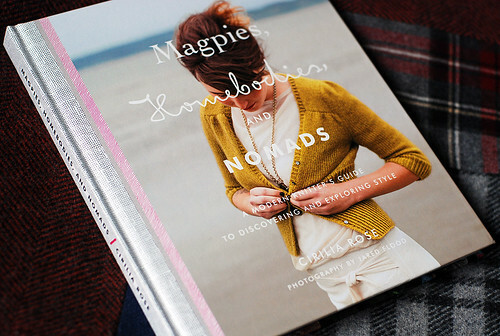 Magpies, Homebodies, and Nomads: A modern knitter’s guide to discovering and exploring style, by Cirilia Rose, will be officially released on November 4th. I was sent a review copy (woo! 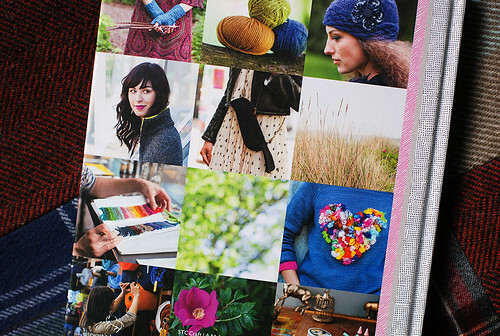 and further disclosure: I’m friends with Cirilia) and I’ve very much enjoyed reading it and admiring all designs, wishing for the free knitting time to make my favorite pieces! 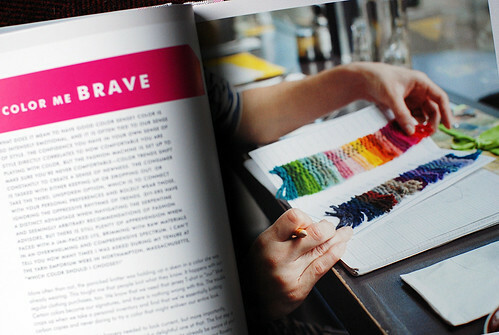 I got to see the sample knits at a sneak peek show thing she did at Stash in Corvallis over a year ago, so I’ve been eagerly awaiting the book ever since. 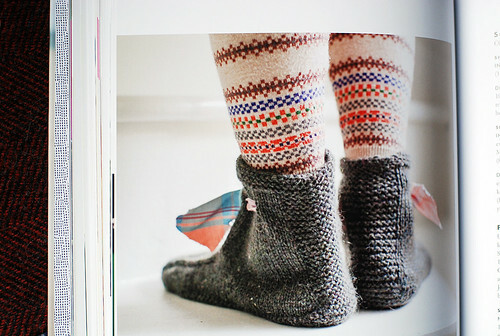 So many beautiful knits! (You can see them all on ravelry here.) 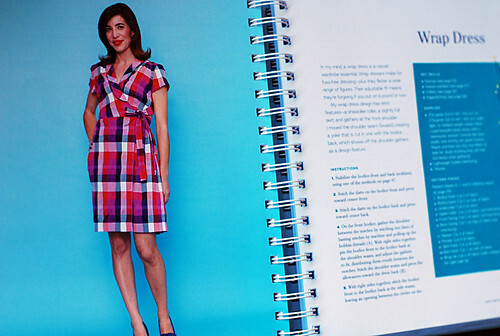 In addition to the 25 patterns, the book also includes several fantastic essays on style, with topics like Think Like a Stylist, Substituting Yarns, and Looking for a Come-Up (AKA Thrifting). But this is a quick book review because we need to get to the fun part – Cirilia answered a bunch of interview questions for us! Some book related, many not so much. Let’s go! The Magpies section of your book is all about special single skeins – what’s the most recent extra special skein of yarn you added to your collection? 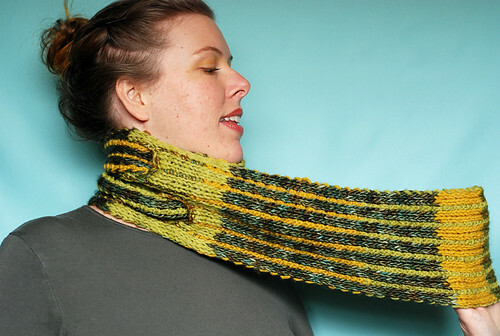 And/or a single skein purchase that stands out in your memory? Zealana just made a yarn called Cervelt. It’s made out of red deer down from New Zealand and is exclusively available at String in NYC. I have a single ball of it and I’ve been joking that I’m going to go out for dinner and just leave that instead of paying. Designing a special one ball project is on my to-do list, actually. 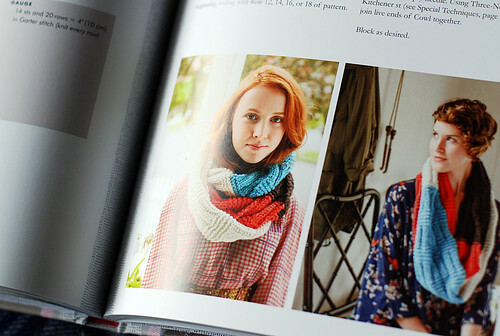 The Nomads section is about traveling, and wearing your knits out in the world; you also give a helpful list of styling recommendations for traveling – I love the tip about bringing an oversized sweater or cowl to function as a blanket/pillow as well as its intended purpose. Any non-style travel tips that add comfort or ease to long days of transit or hotel stays? I am a creature of habit so I always pack my own tea and toiletries. I’ve also gotten pretty into the habit of doing a little Lisa Eldridge style beauty routine on longer flights, and in my hotel rooms, I think my skin is pretty happy about this. I also always pack knitting, reading material and workout gear but…sleep usually wins. You talk a bit in the book about your experience as a stylist – any funny embarrassing moments on a photo shoot set that you’d like to amuse us with? Yes. Oh goodness, yes. 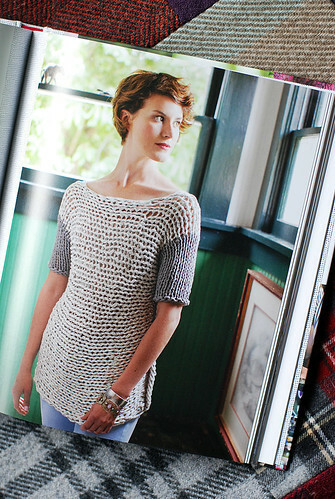 The first time I styled a man it was for Norah Gaughan’s men’s collection for Berroco. I didn’t understand men’s pant sizes at ALL and the poor guy couldn’t even pull them up. He was a good sport (and a total babe), but I was really, really embarrassed. 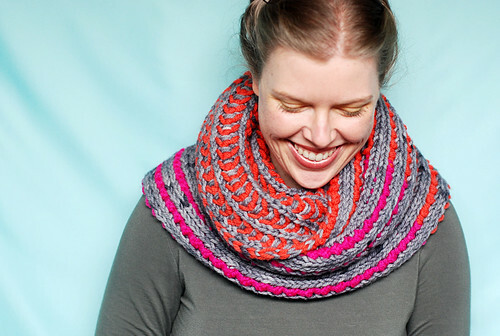 I love the way you talk about color – recommending that knitters step outside their comfort zones when choosing yarn colors. Do you have a favorite color or color combo of the moment, this season, that you find yourself wearing constantly? I’m really loving black these days, actually. It makes it easy to get dressed and since I’m living in a city it helps me ward off unwanted attention. I once read that people who wear black lead colorful lives, and I definitely agree. That said, I’m liking really clear royal blue, vivid and weird oranges and interesting pastels, especially when they lean neon. They all look great with black! Is there a color you always thought you hated when you were younger, and then something made you change your mind? Orange has really wormed its way into my heart, partially because of Norah’s love for it and partially because it’s such an underdog in the knitting world. It’s consistently a low seller alongside yellow and brown. I love it, especially when I think of it in food terms (something I recommend in the book). It has a piquancy that is addictive. Can you tell us about a favorite store in another country that you wish would expand to open a branch in your city? Yes! Tiger, an incredible Danish dollar(ish) store.This has become my favorite stop in Iceland. Where else can you find pastel marble Easter eggs, radiant orchid headphones, crocheted nylon baskets, sequined cat masks, novelty yarn and a four-pack of toothbrushes all for the cost of a pizza? When you were in high school, what did you want to be when you grew up? A journalist. And I think that’s pretty much what I am, in some form. 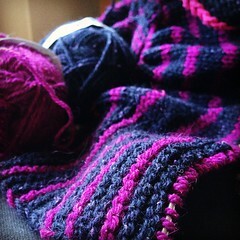 I research, report and distill, I just didn’t think it would be about yarn! 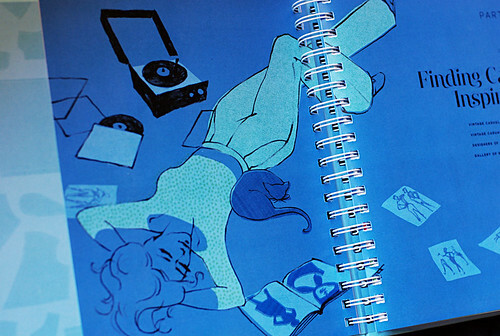 What’s the first cassette tape and/or CD that you ever bought or picked out for yourself? Probably something superbly 90s like Smashing Pumpkins or Luscious Jackson. I still love a 90s vibe, I’m glad it’s back in fashion. What’s your favorite TV show to binge watch while knitting, that you’ve watched all the way through more than any other show? Well, the usuals, Freaks and Geeks, Gilmore Girls, Buffy, Firefly, My So-Called Life, etc. My favorite show that no one ever seems to know is a British comedy called Peep Show. I also adore Parks and Recreation. I can’t pick a favorite character, they’re all amazing. So much heart, and whoever names the characters did such a great job, they rival Strangers with Candy in that realm. What’s the most recent movie that you saw and loved? I really enjoyed Drinking Buddies, which is part of the whole mumblecore movement. It felt natural and heartbreakingly accurate about how hard relationships can be. I also LOVED Under the Skin, even though I spent most of it in fetal position and that was in the theater! What’s the most recent book that you read and loved? I’m not an amazing reader, as much as I’d like to be. Sustained attention isn’t my strong suit, sadly. Pretty Good Number One went very quickly for me and made me even more excited to go back to Japan one day (I lived there for the first two years of my life). I’m in the middle of #GIRLBOSS and I’m really liking it. She echoes a lot of what I have always said, namely to not wait for opportunities to fall in your lap. 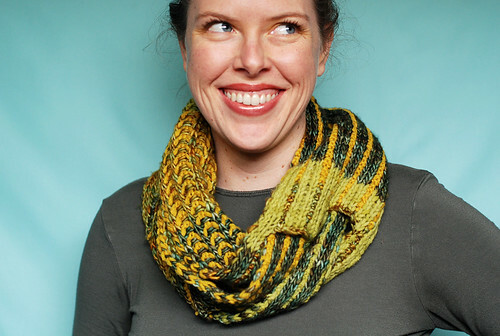 What’s the most recent knitting pattern or project that made you gasp when you saw it? The sweater that my friend Carolina Swallin made for our machine knitting class. She used to design for H&M and she has her own line of incredible accessories but she really blew it out of the water. All of Stephen’s Crazy for Color collection. I saw Fox Paws by Xandy Peters in person at Rhinebeck and got pretty sad that I never have time to knit for myself! A link was recently circulating amongst knitters, to a list of all 118 sweaters that appeared in Twin Peaks – do you have a favorite Twin Peaks sweater? I love your cat, Goldstar, who shows up often in your instagram feed – can you tell us about a particular move that he charms you with? Goldstar is actually a not-so-dainty lady and I have been head over heels for her since day one. She is abnormally cuddly and will tolerate nearly any amount of snorgling. One of her funnier habits is being so relaxed she falls off the couch or my lap mid-stretch. The poor thing is a total klutz and I love her for that. I favorited your Bjork swan costume on ravelry before we ever met, over six years ago – love it! Since it’s October, what’s your favorite costume of a past Halloween (besides that one)? Oh man, that was in the early days and fairly last minute! I should reprise it and do a better job. I pick extremely dorky, unrecognizable costumes. I’ve been Jane Goodall, Emily Litella and Bob Ross. This year my boyfriend and I are going as Harold and Maude. I just realized I’m kind of stuck in the 70s! I’m okay with that. Thank you so much, Cirilia! That was fun! (Side note – I feel so bad about misgendering Goldstar, especially since I have a lady cat with a gender-neutral name who gets mistaken for a boy cat often. Ooooops!) Bob Ross is a brilliant Halloween costume idea! and you can find her book anywhere you like to buy books! 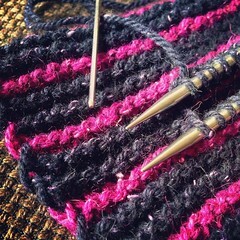 Third pattern in the Bulk Trio: Mikkey! So I released this pattern earlier this year, at the tail end of winter, but it was very silly timing because it’s a WARM piece of knitting, a great fall/winter knit… so I held off on blogging about it until it made more sense to say… Hey, check out Mikkey! 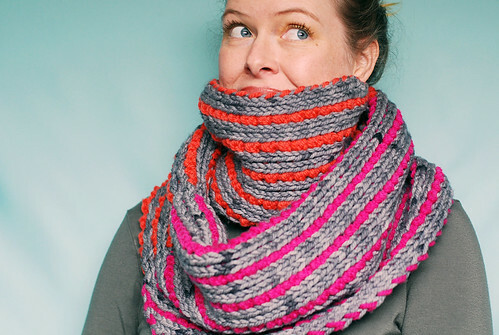 (on ravelry here) A cozy, thick, squishy, double layered cowl! The pattern is for any gauge, best suited to yarns in the aran to bulky range, so you’ll get different looks with different weights. The grey+neons sample at the top is bulky; the above yellows+greens sample is aran; the red+aqua sample below is worsted held triple stranded, for a super bulky kind of weight. You can choose from different sizes as well as weights, making it more or less wide, and as long as you like. The three samples shown represent different widths and lengths; widths+lengths can all be mixed and matched as you like (for example, the grey+neons sample is very wide, but the shortest length option – you can make it wide and longer, or short and less wide, etc). 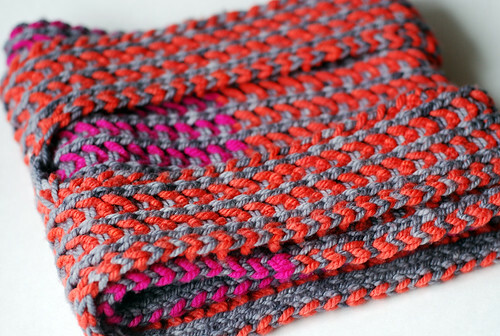 This sample was made in awesome Space Cadet Elara bulky weight yarn (colors: Dark Skies, How Dare You, Tickled) – 3 skeins grey, 1 full skein orange, and 1 partial skein pink (exactly 290 yards / 265 meters used in main color, 190 yards / 175 meters used in contrasting colors); size US 13 (9mm) needles. It’s SO squishy and cozy! 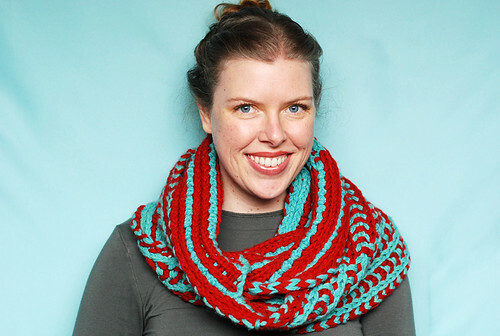 The red+aqua sample was made with Stonehedge Fiber Mill Shepherd’s Wool Worsted, held triple stranded (Red, Lakeshore) – 2 full skeins each color (250 yards / 230 meters per skein, so approx the same as 333 yards / 305 meters of super bulky weight yarn total); size US 15 (10mm) needles. 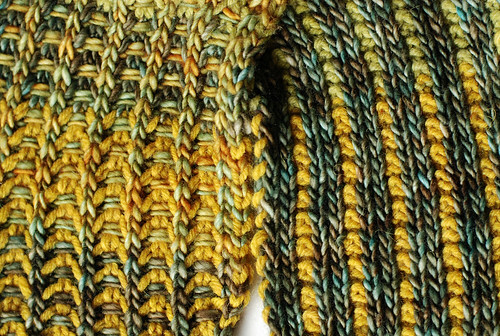 And the yellows+greens sample below was made with Madelinetosh Tosh Merino heavy worsted (Filigree, Terrarium) – approx 75 yards / 70 meters of the dark shade, 35 yards / 30 meters of the light shade, and Jill Draper Makes Stuff Adirondack aran weight (Antique Gold, Straw into Gold) – approx 90 yards / 80 meters each color; size US 10 (6mm) needles. The combination of soft, single ply, subtly variegated merinos + more wooly, plied solids worked REALLY well here! 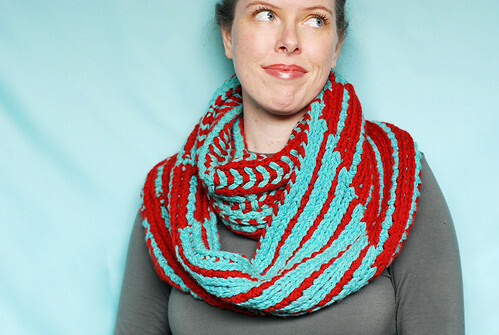 This version is best with just one main and one contrasting throughout, to avoid things getting too busy, but one of the colors could be a variegated or self-striping (the other a solid) if you like. The straps are made long enough that they can be pulled through the holes to one end or the other, making the layers the same size, like above, or different length loops, like below. So that’s Mikkey! Super versatile, both in how you make it and how you can wear it. 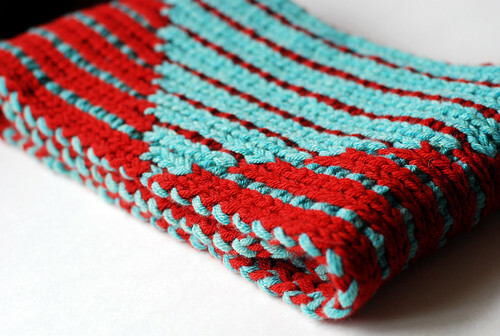 This pattern is definitely suited to making a few different versions for your winter accessory collection, since they can be made to be so different from each other! Mikkey is the third pattern in my leethal Bulk Trio (on ravelry here), which also includes Lemmy and Wizzö (wondering about the names?) 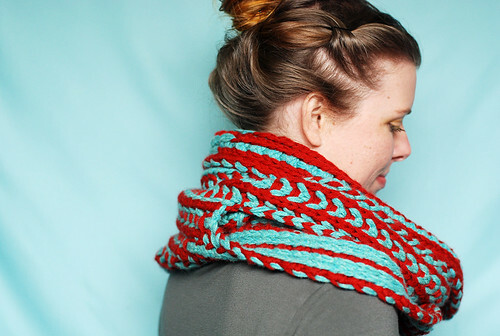 – so you can save by grabbing the whole trio for $12; each pattern alone is $6. 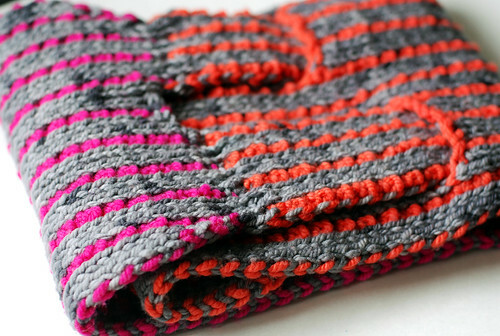 This pattern isn’t a very quick knit, but the other two can knit up very quickly, if you’re on the lookout for quick gift knits! The ebook for the Bulk Trio is just about to be released later today (the three patterns have been out for awhile, but I slacked on getting them grouped together into 1 pdf) – so you can save space on your computer/ipad/etc by using that single file with all 3 patterns instead of the 3 separate pdfs. Same patterns, just condensed a bit. 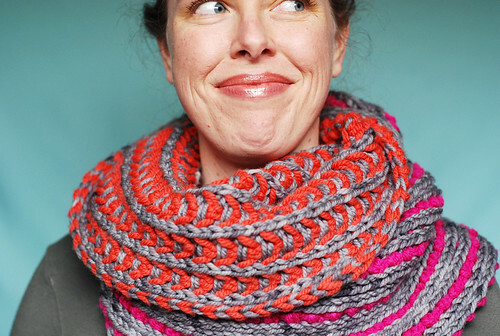 I hope if you make yourself a Mikkey that you post a project with photos on ravelry! 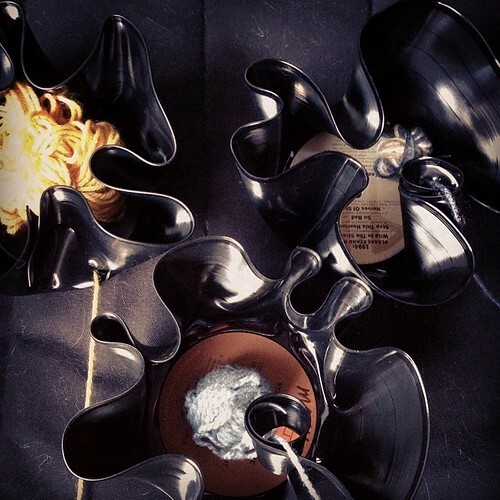 I love to see your leethal projects!! 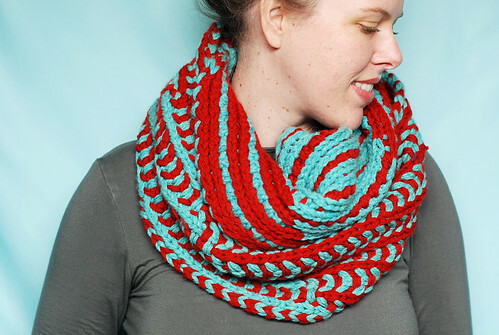 Happy gift knitting season! Fall season events and stuff! 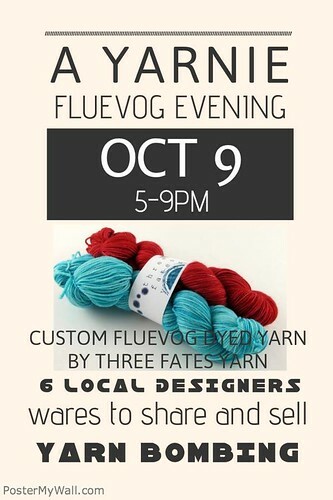 This Thursday, here in Portland, I’ll be at the Fluevog store on SW Stark, just a couple blocks from downtown Powell’s, for their Yarnie Evening! You can find details on facebook here, or in this ravelry thread here. It should be a fun time – I hope you can stop by! 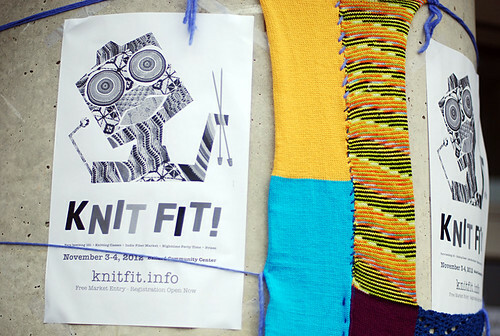 And then, next month up in Seattle, I’ll be once again teaching at Knit Fit! It’s November 8-9, and I’ll be teaching 2 classes, plus the Game Knitting night, which has become a fun annual tradition. 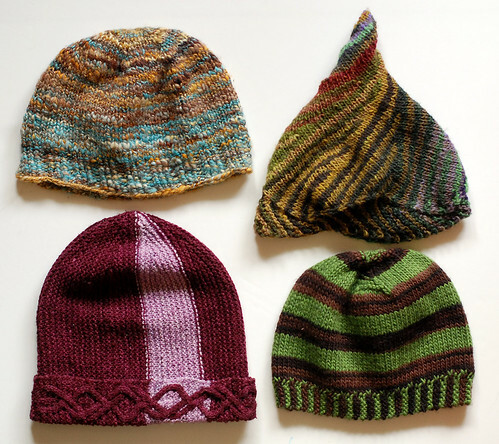 This year I’m teaching a brand new class on no-pattern hat knitting, and I’m teaching the sideways edge cast-on and bind-off class again. 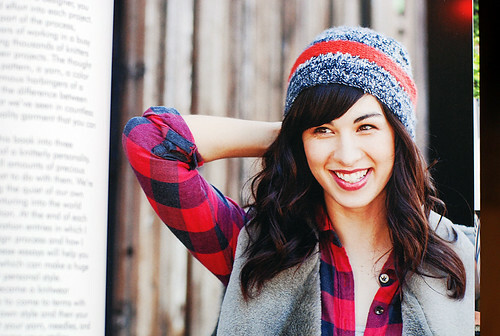 Find the full Knit Fit! schedule here. 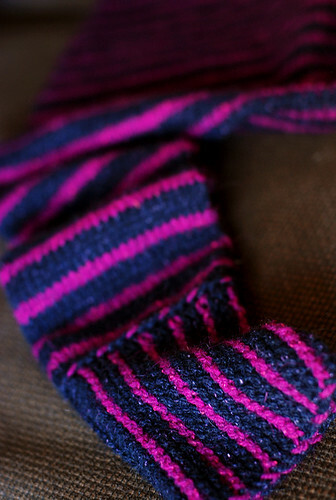 For the Game Knitting night, we’ll be knitting to one of my favorites – 10 Things I Hate About You! 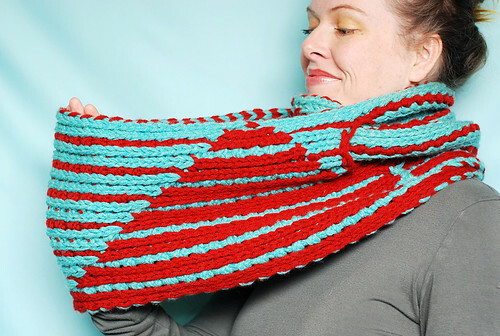 It’s about as leethal as can be – designed for any weight yarn, at any gauge, custom sized to your measurements, constructed modularly, with no picked up stitches, and some grafting but no sewn seams. 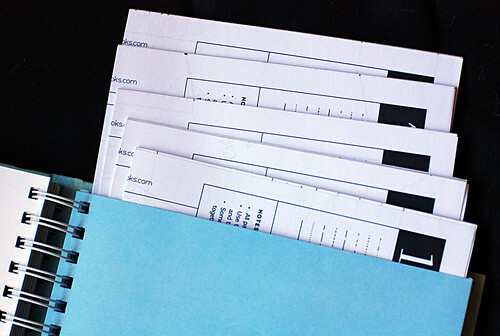 You start by making a gauge swatch to get an accurate gauge measurement, then you fill out a worksheet to get all the numbers to plug into the pattern, and fill the blanks. 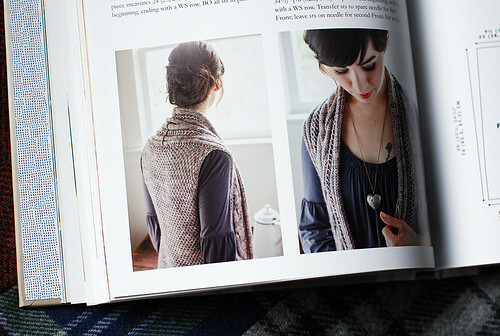 Then you just knit your sweater, all customized for you! As for the knitting, it’s mostly stockinette (mostly in the round) and garter stitch (mostly flat), which means there’s very little purling, and it’s great TV/movie knitting. 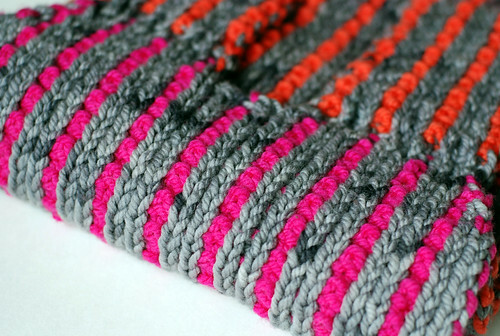 I even knit a chunk of my sample while watching a movie in the theater – that was a first for me! I put my sample up as a ravelry project, so I might add more photos there as the release date gets closer, and I’ll post more peeks on instagram/twitter too, later in the month. I just wanted to let you know it’s coming, since I’m super excited about it! The sample you see is in Hikoo Kenzie, which I absolutely LOVE. A new favorite yarn for sure!! That’s all my newsy stuff for now, I think. 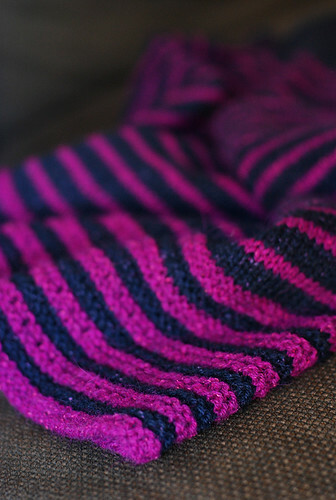 I haven’t yet posted about Adventure Knitting: The Mysterious Trunk now that the knit-a-long is over, but that’s because I’m waiting until the print book is ready, and I’ve been slacking a little on getting it done, keep getting distracted by other matters… so, soon. 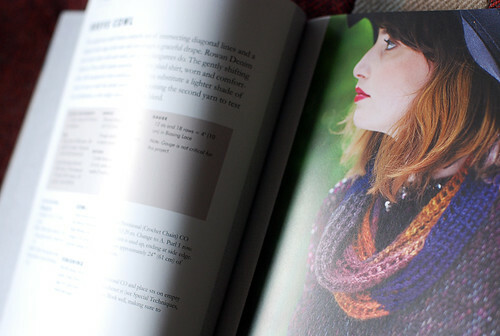 But yeah, this year’s Adventure Knitting is all revealed on ravelry, so you can look at all the awesome projects that were made for the knit-a-long, and you can buy the whole thing together in an ebook now, if you like what you see! Okay, happy orange leaves and spicy flavors season! 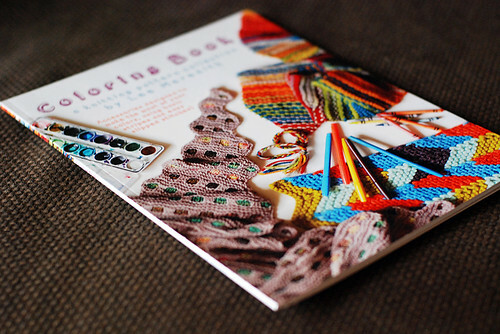 Hope you have something fun on the needles! Book review time! 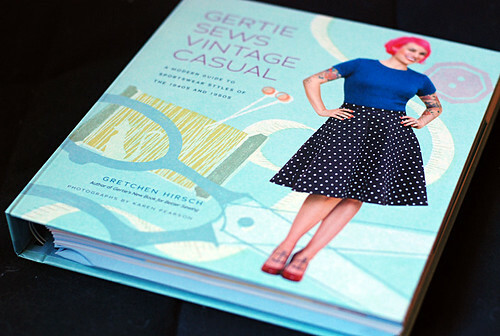 First things first – the generous publisher sent me a lovely review copy of this book, Gertie Sews Vintage Casual by Gretchen Hirsch, which is why I’m blogging about it. That doesn’t mean it’s not an awesome book! Oh, it is! What immediately caught my eye was the artwork – so great!! 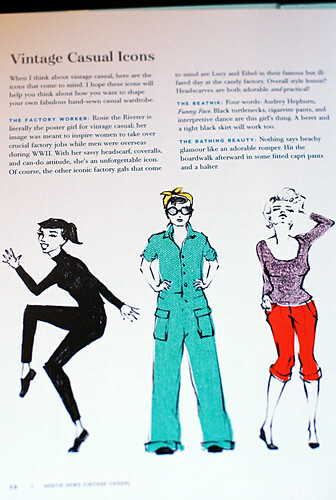 The book is A Modern Guide to Sportswear Styles of the 1940’s and 1950’s, and the artwork and overall graphic design of the book are just perfect. …vintage style (detailing different varieties of styles from the past, inspiration, etc), fabric & supplies (breakdown of different fabric types, tons of info about tools and notions), working with woven fabric (SO MUCH info about seams, necklines, waistlines, hems, pockets, stitches, and more! ), working with knit fabric (again, so much info about stuff you’d need to do with knits), 20 pages on fitting (so much detail there! 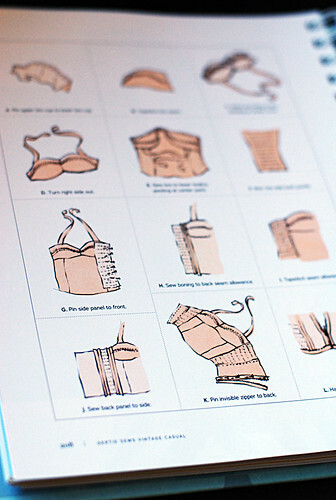 ), and patternmaking (all you need to know to actually draft the patterns). 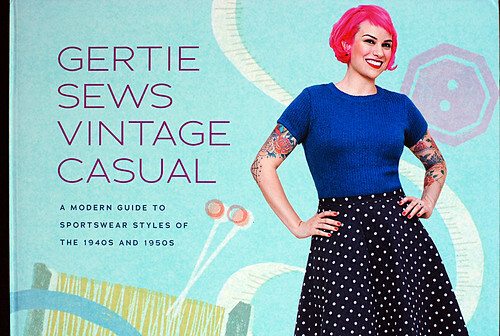 So, I’m not much of a sewer – I’m self-taught and have never really used patterns. 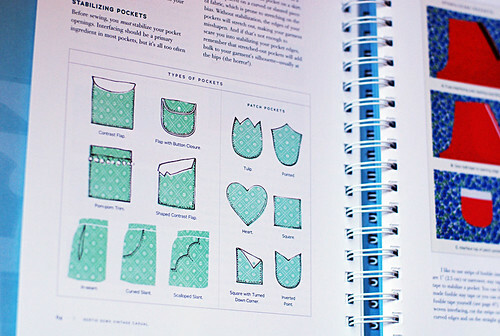 For the last couple years I’ve really been wanting to find the time to teach myself how to sew from patterns… and this book seems like a fantastic resource to help me learn! There are great little illustrations throughout, and photo tutorials to show complex steps, details, etc. 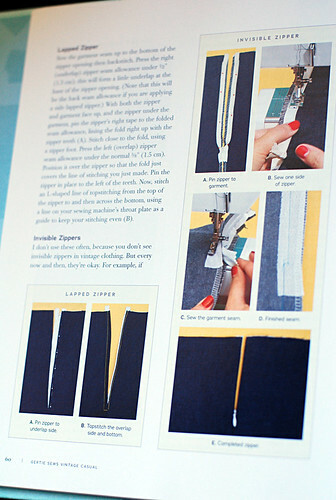 It seems like a fabulous resource even for advanced sewists who know what they’re doing, with all these very specific techniques included (so many different specific types of seams, for example). And just tons of helpful info and tips – I was pleased to see this page, as I hate the idea of wasting time on a muslin that’s useless after its initial purpose is served. And then we have the patterns! 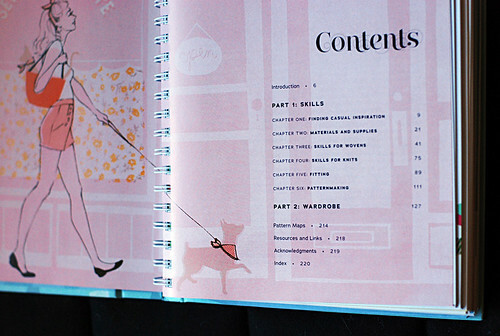 The Wardrobe section of the book includes 10 patterns, each with at least 1 variation, usually more, making 34 different items. There are lots of basic staple type items, and some more complex pieces. I love this wrap dress! A simple pattern like these great cigarette pants includes variations for: 40’s style wide-leg pants, pedal pushers, flared shorts, sailor shorts (so cute! ), and jeans. 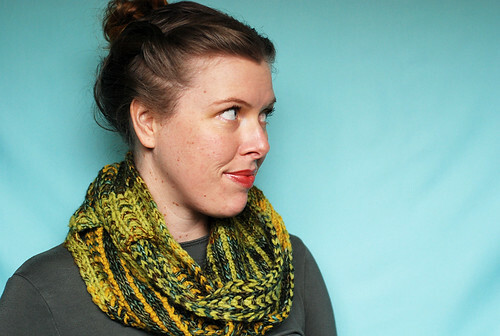 So once you get the hang of that one pattern, you can make a ton of totally different items! 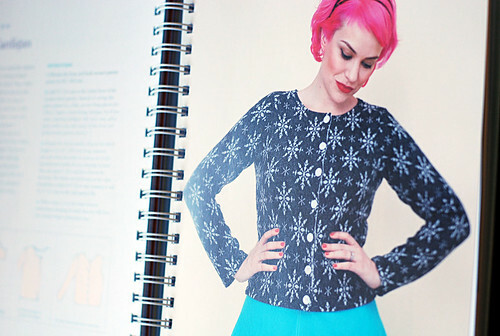 This fitted cardigan is a variation of the pin-up sweater pattern – love it! 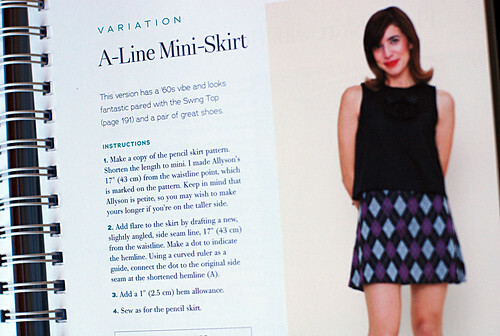 The a-line mini-skirt looks like a basic enough project that I might need to try it as one of my first ever sewing-from-a-pattern projects! 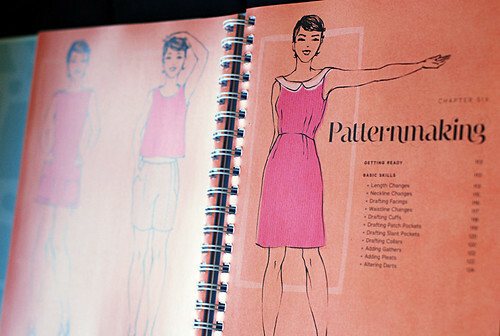 The pattern instructions have illustrations for any complicated steps, along with the written steps. Love the vintage style of it all! 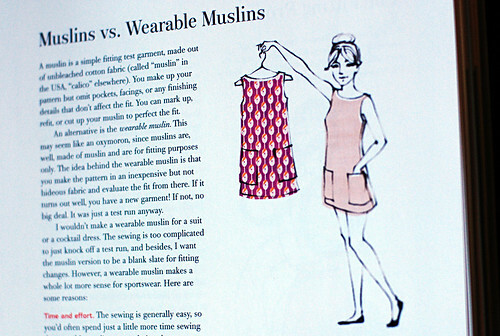 Side note: One of my favorite people, Jasika Nicole, posted on tumblr about how excited she was when this book came out, because she’s a huge fan of Gertie patterns – “Gertie is my favorite vintage sewing enthusiast and her patterns are wonderful.” Since then, she’s posted 2 photos of items she made from patterns in the book. She mentioned that the 40’s sleeveless blouse pattern “instructions were a little wonky” so the more complex pieces might really be for more advanced sewists (like her!) but her top turned out adorable in the end! 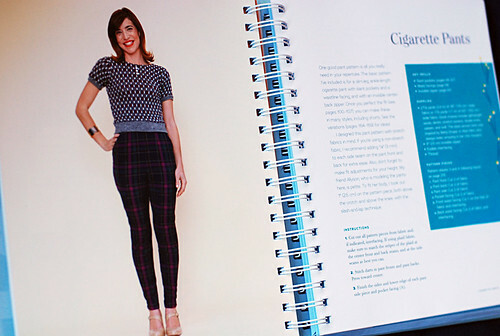 I will probably be sticking to the simpler of the projects until I get some experience under my belt, but if you know what you’re doing, you can make some awesome clothes with this book!